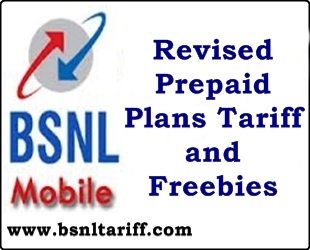 Telecom Backbone Bharat Sanchar Nigam Limited (BSNL) has announced revision of current plans tariff and Freebies which is offered initially under GSM Mobile Services across Andhrapradesh Telecom Circle. Andhrapradesh Telecom Circle Competent Authority revised the popular available plans tariff and Freebies of Nestham (2G and 3G), Vennela Super (2G), Vennela Super (3G), details as follows. Existing Freebies offered with Nestham (2G and 3G) plan Free Voice Calls 2400 seconds is revised to Free Voice Calls 1200 seconds. Existing Freebies offered with Plan voucher of Rs.29/- Free Local SMS 100 (Initially) is revised to NIL SMS. Existing Freebies offered with Nestham Plan Voucher of Rs.29/- (2G and 3G) Free Local SMS 60 per month is revised to Free Local SMS 20 for 6 six moths. Existing Freebies offered with Vennela Super (2G) plan Free Voice Calls 2000 seconds is revised to Free Voice Calls 2000 seconds. Existing Freebies offered with Vennela Super Plan Voucher of Rs.129/- (2G) Free Local SMS 200 (Initially) is revised to Free Local SMS NIL. Existing Freebies offered with Vennela Super Plan Voucher of Rs.129/- (2G) Free Local SMS 100 per month is revised to Free Local SMS 30 for 6 six moths. Existing Freebies offered with Vennela Super (3G) plan Free Voice Calls 2000 seconds is revised to Free Voice Calls 2800 seconds. Existing Freebies offered with Vennela Super Plan Voucher of Rs.139/- (3G) Free Local SMS 200 (Initially) is revised to Free Local SMS NIL. Existing Freebies offered with Vennela Super Plan Voucher of Rs.139/- (3G) Free Local SMS 100 per month is revised to Free Local SMS 30 for 6 six moths. The Free SMS per month allowed for Closed plans Viz Vennela match (2G and 3G), Powerpack, Vennela Plus, Vennela, Nestham Match plans is withdrawn with effect from 01-08-2013.